"PNOC's, Get Your PNOC's Here" ! "Professional non-commision officers class", also known as PNOC. Shown here sporting "war paint" and after 72 hours of patrol in the N. Korean Mountains. 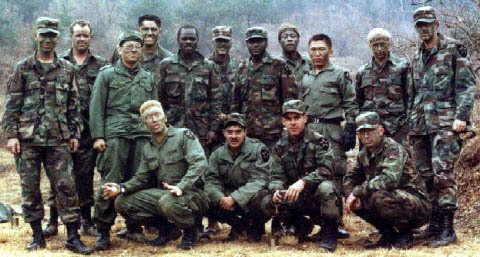 SSG Linville, standing far right was the PNOC instructor and a former Drill Sargent.